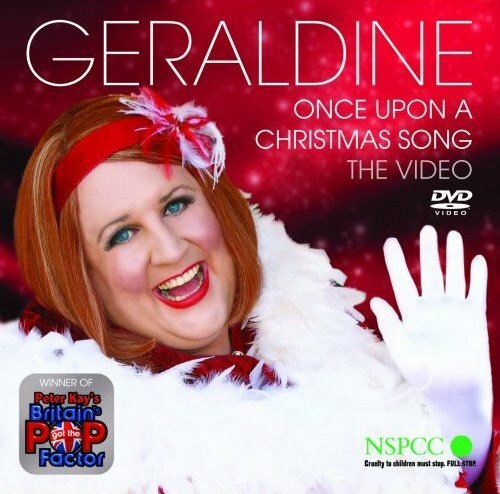 Not content with a spoof television series and a spoof winner’s song, British comedian Peter Kay and his alter-ego Geraldine McQueen are at it again, with the obligatory spoof Christmas single – and this time, he’s got the British charity the ‘National Society for Protection of Cruelty to Children’ in his sights – as that’s where the money raised from this single is going. The clip begins with a rather confused Santa Claus and quickly morphs into a Bjork-inspired ride on the back of a truck through the streets of Britain, spreading Christmas cheer. And we’ve got to say, it’s a rollickingly feel-good, come-together type of tune that will get stuck in your head like a suspiciously sharp Christmas cracker. Though that Geraldine ain’t half got a deep voice… We’ll put it down to an over-indulgence of figgy pudding.